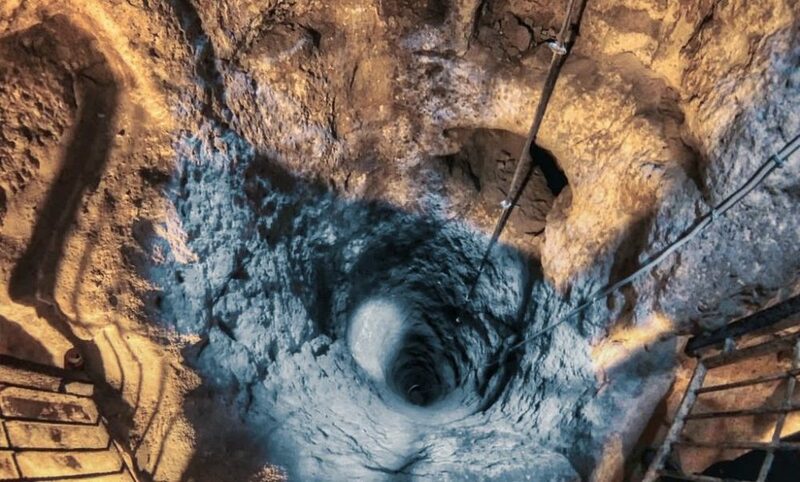 The houses here were underground, with a mouth like that of a well, but spacious below; and while entrances were tunnelled down for the beasts of burden, the human inhabitants descended by a ladder. In the houses were goats, sheep, cattle, fowls, and their young; and all the animals were reared and took their fodder there in the houses. 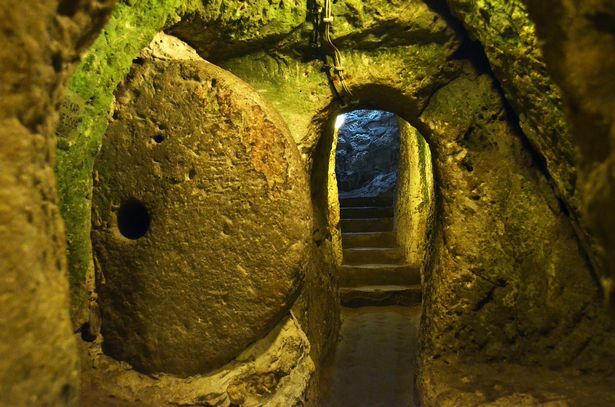 For hundreds of years, when invaders came to the Cappadocia region of what is now Turkey, inhabitants would retreat to a vast underground city, taking with them their belongings — including large livestock — seal up the entry with large stones, and live there until the threat passed. 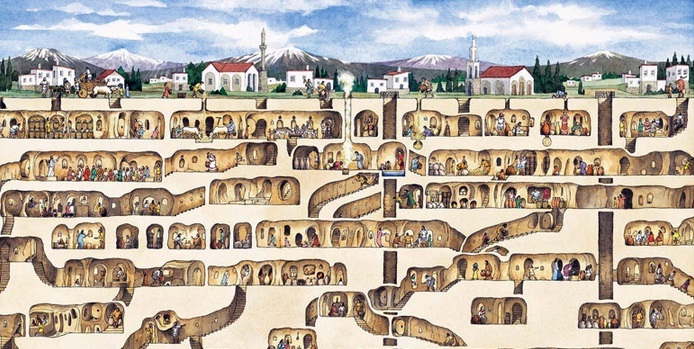 The underground city of Derinkuyu is believed to date to the 8th century BC and could accommodate up to 20,000 people and their animals. 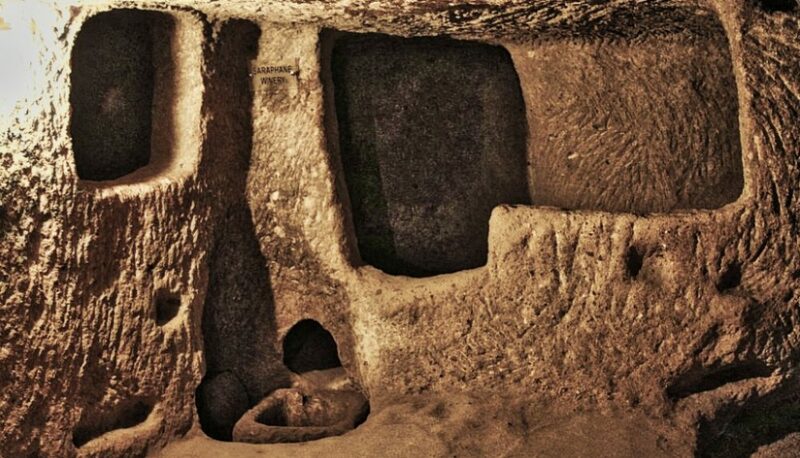 Derinkuyu Underground City is an ancient multi-level underground city in the Derinkuyu district in Nevsehir Province, Turkey. Main ventilation shaft and well. 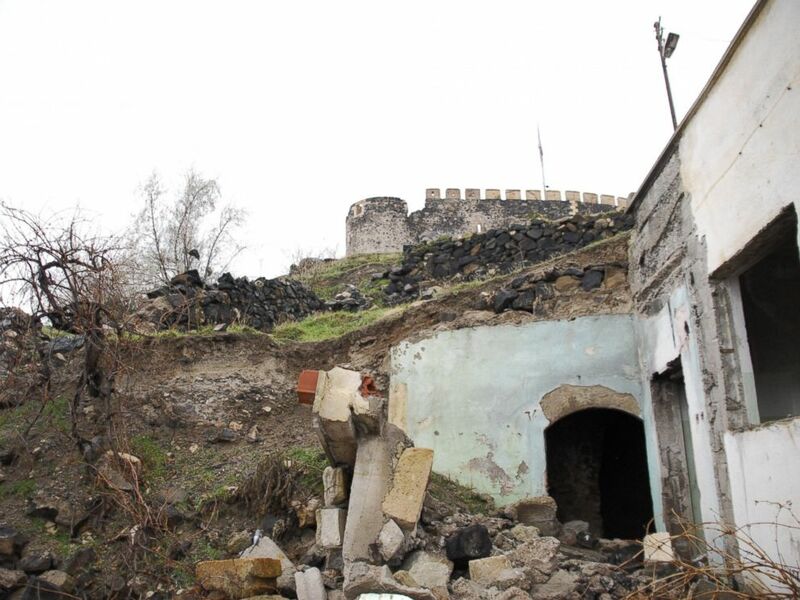 Source: Wikimedia, Nevit Dilmen 2014. 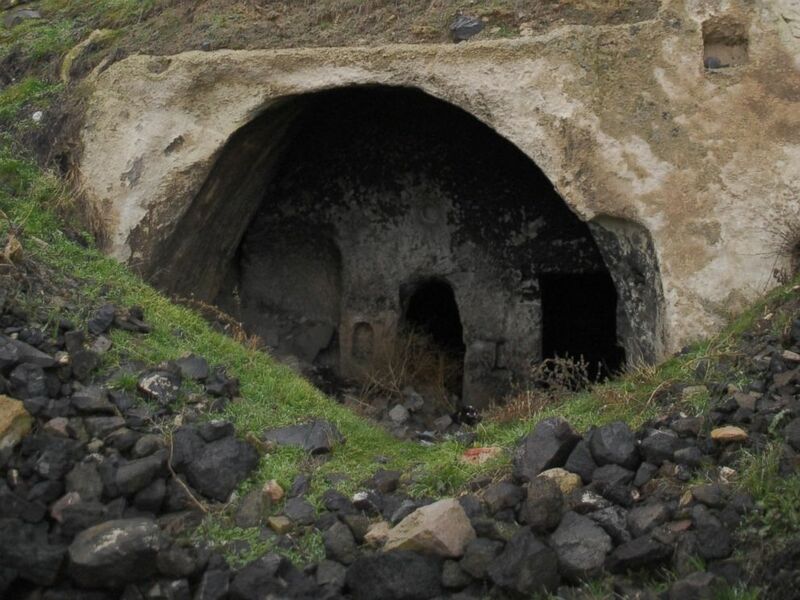 Derinkuyu was most recently inhabited by Christians until 1923 when they were expelled during a population exchange with Greece. 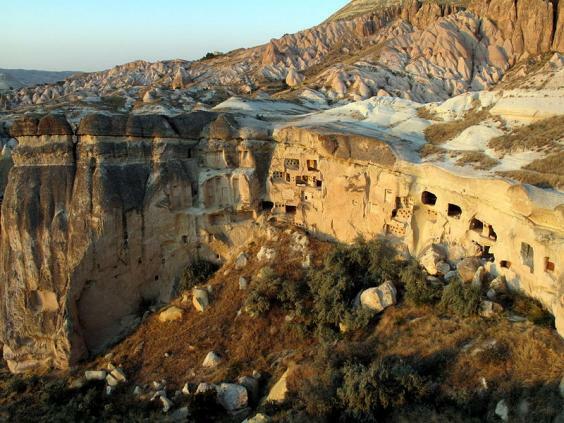 Derinkuyu has since laid uninhabited and draws visitors from around the world. 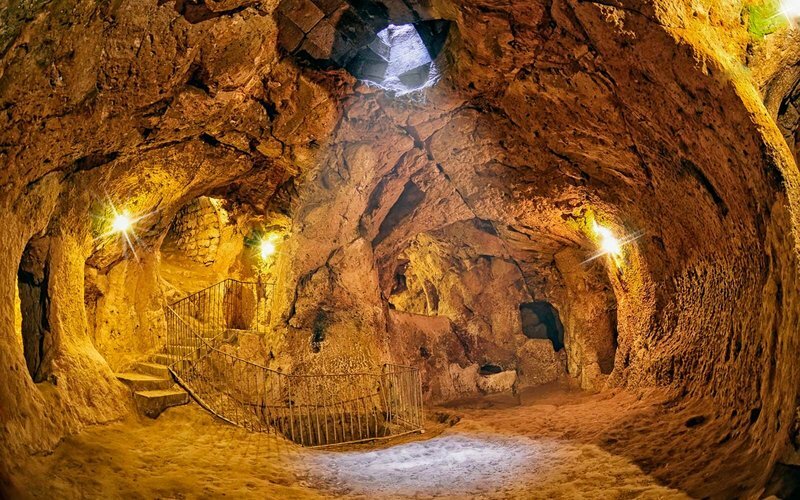 The Cappadocia region, once a Roman province, is fertile ground for underground cities because of its soft volcanic rock which is easy to carve and Derinkuyu is not the only underground city in this area of Turkey. 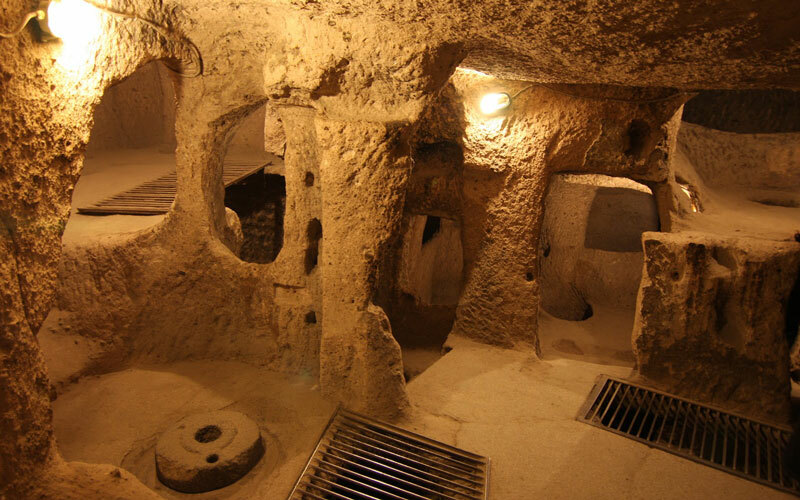 A series of ruins that contain buildings, hidden churches, and water channels were found in the Turkish town of Nevşehir, which is known for its ‘fairy chimney’ rock formations. 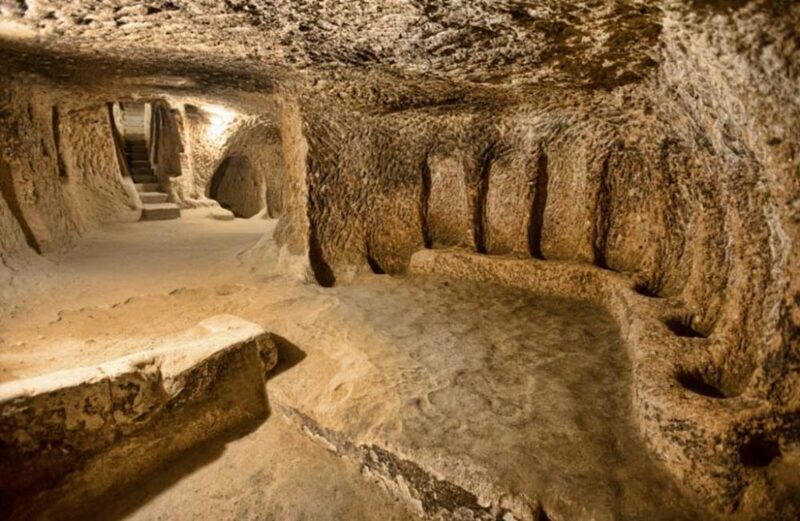 Construction workers clearing for a real estate development discovered the even more ancient underground city in 2015. 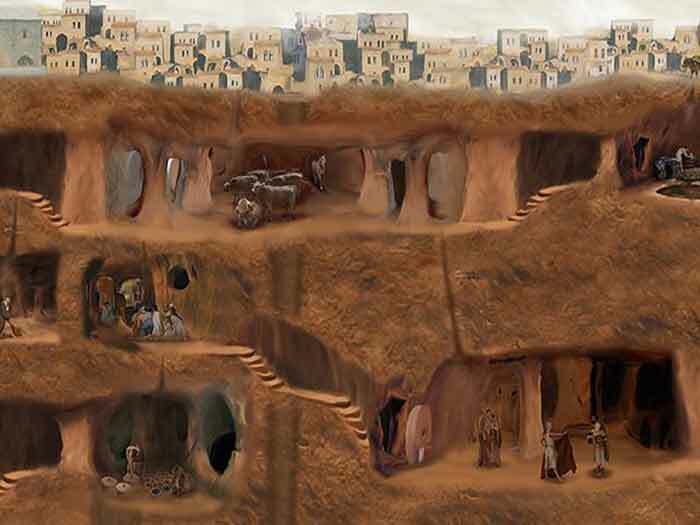 The city is estimated to be up to 5,000 years-old. 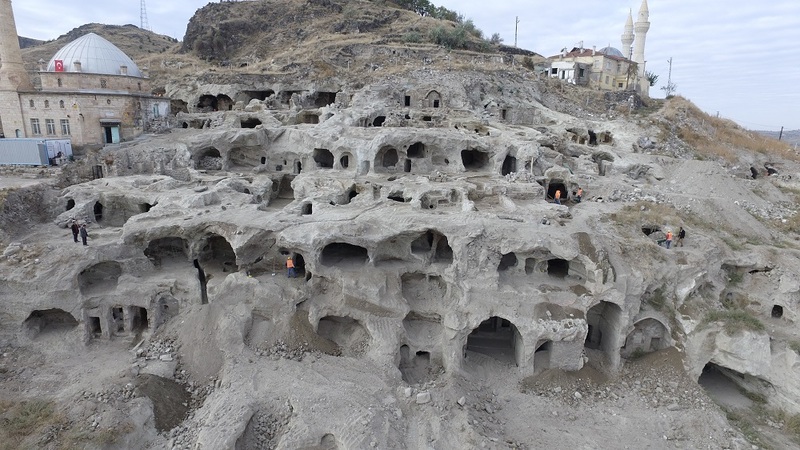 The site, located around the Nevşehir hill fort near the city of Kayseri, appears to dwarf all other finds to date. 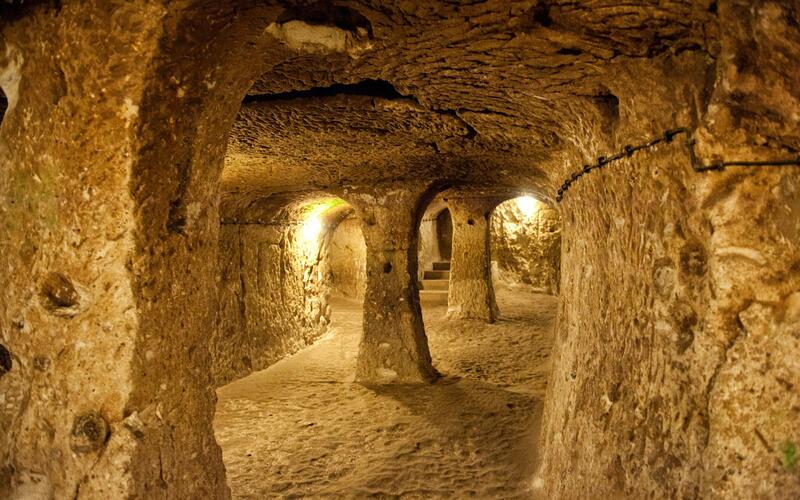 If you’re planning a visit to Cappadocia make sure you don’t miss a visit to an underground city. Everything you ever (or never) wanted to know about mosquitoes!